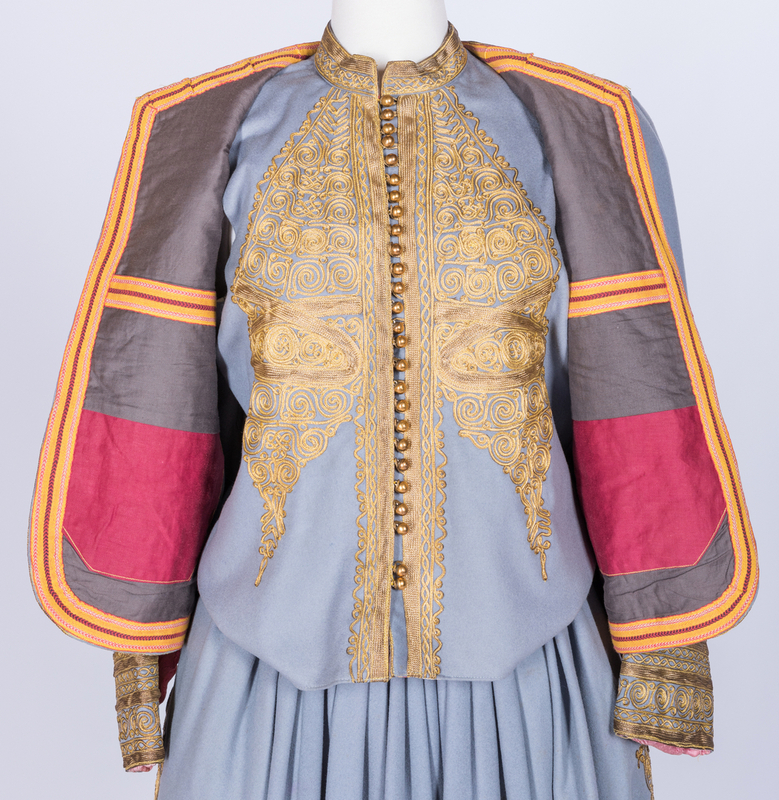 Four (4) piece traditional Balkan style costume in dove gray, consisting of a dolman jacket, vest, felt hat, and pants altered into skirt. 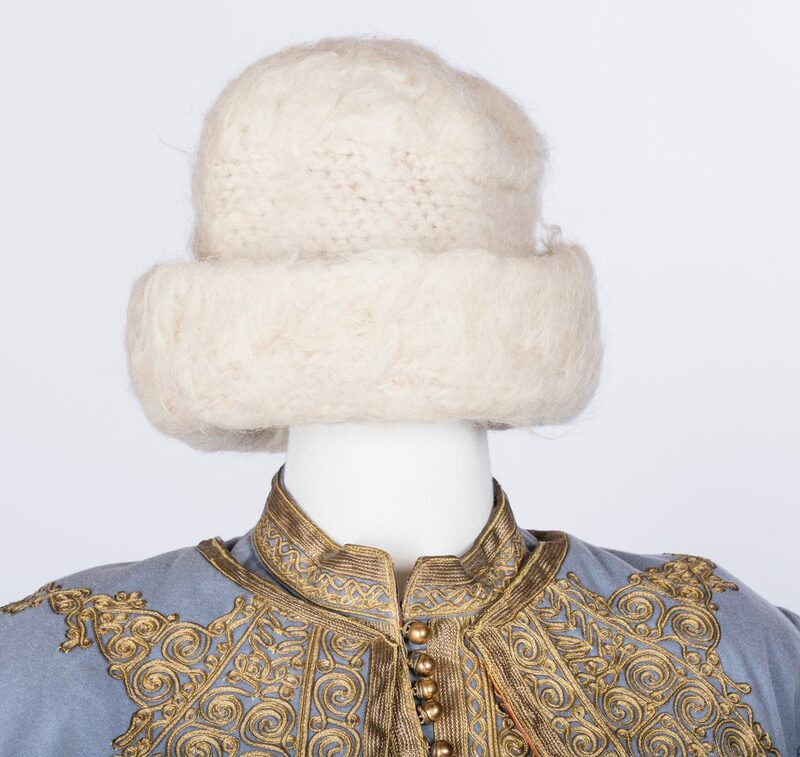 Materials: woven wool, cotton, gilt metal braid, felted wool. 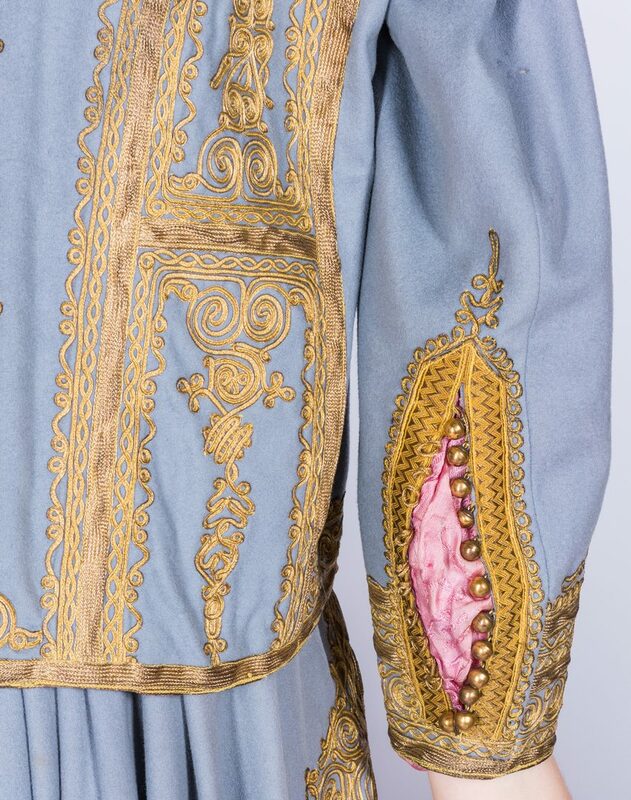 Dolman jacket with elaborate spiral and geometric gilt metal couched embroidery to front and back; lined; and seams finished with woven bias tape. 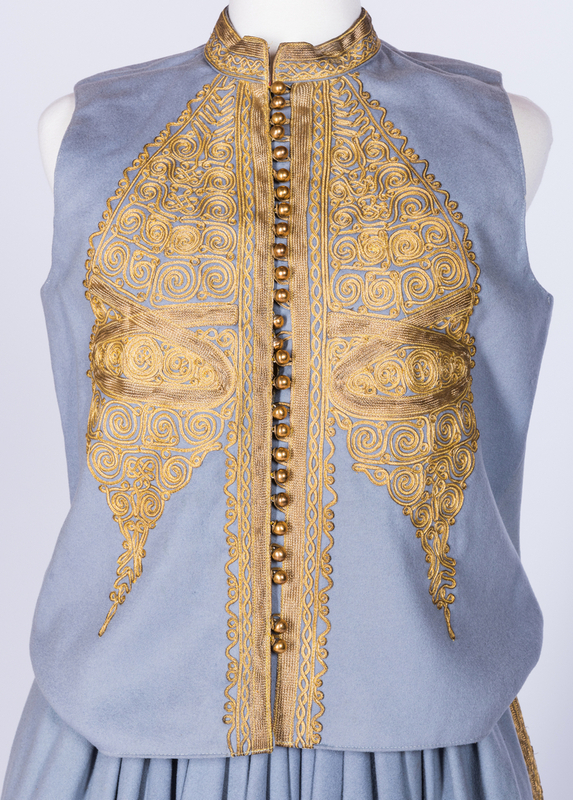 Matching vest with standing collar, lined, and gilt metal couched embroidery on front. 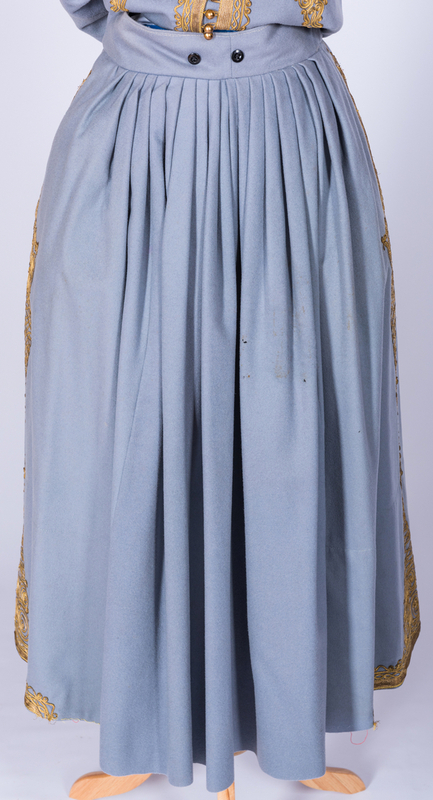 Skirt has matching embroidery to sides; unlined; unfinished hemline. White felted wool knit hat. No labels. 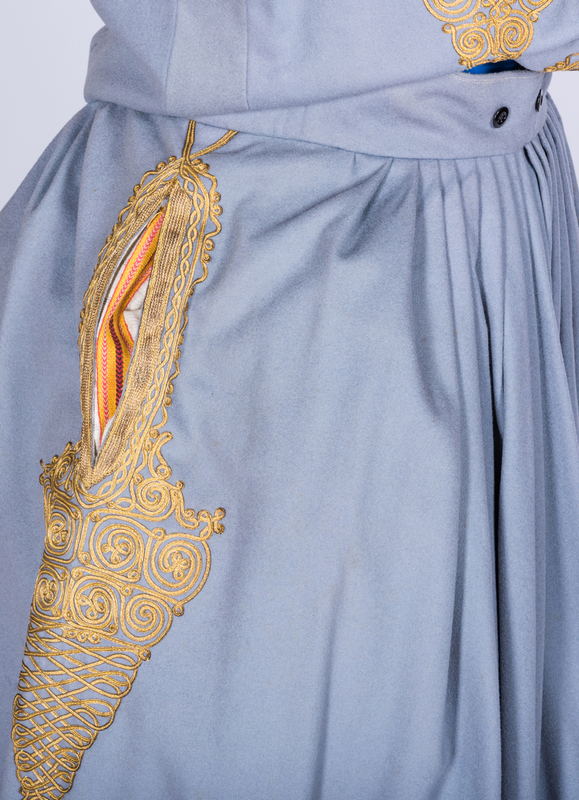 Domed metal buttons marked: Paris G.J. 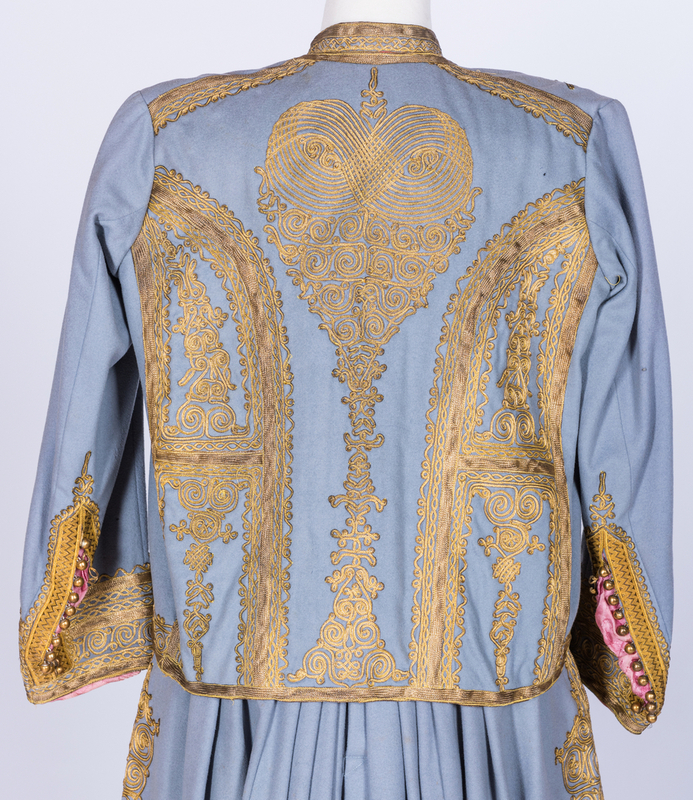 & F (working 1904-1917) with lion passant and four leaf clover. Shoulders – 16 3/4"; back – 23"; sleeve – 22"; skirt length – 33 1/2"; waist – 34". 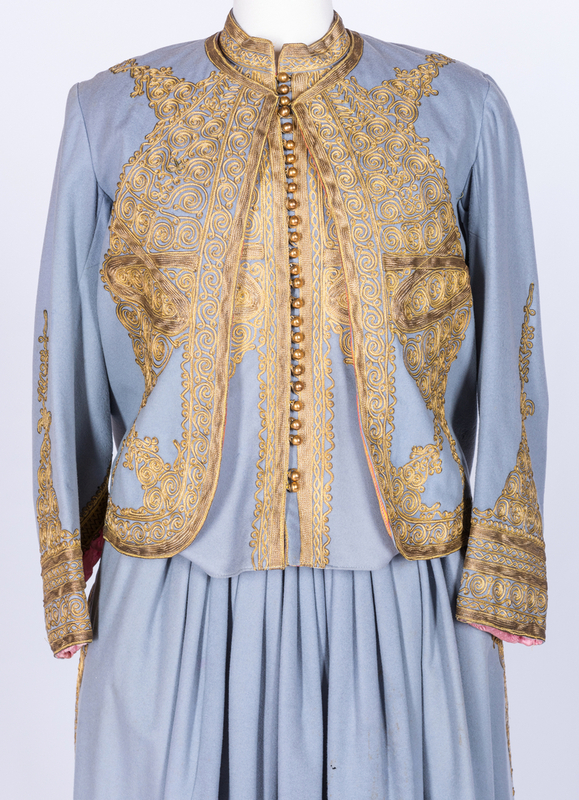 Circa 1880-1925. 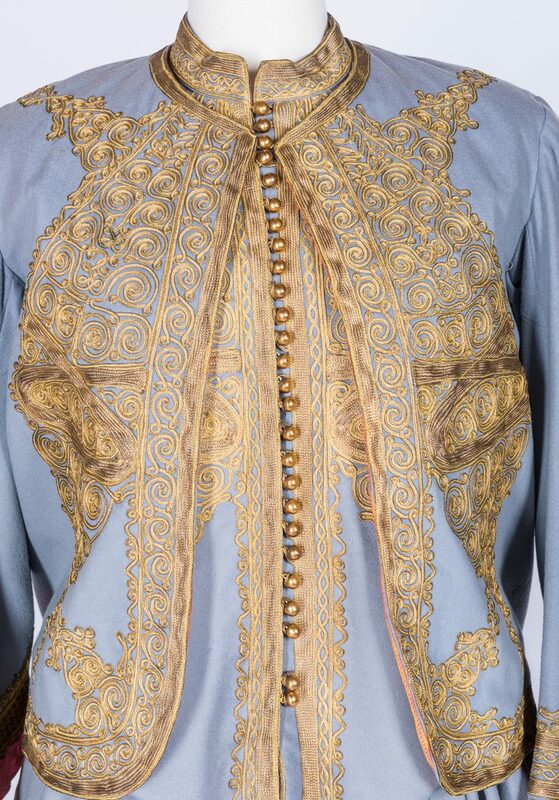 Purchased in Paris early 1920s by consignorís grandmother and altered to fit her. 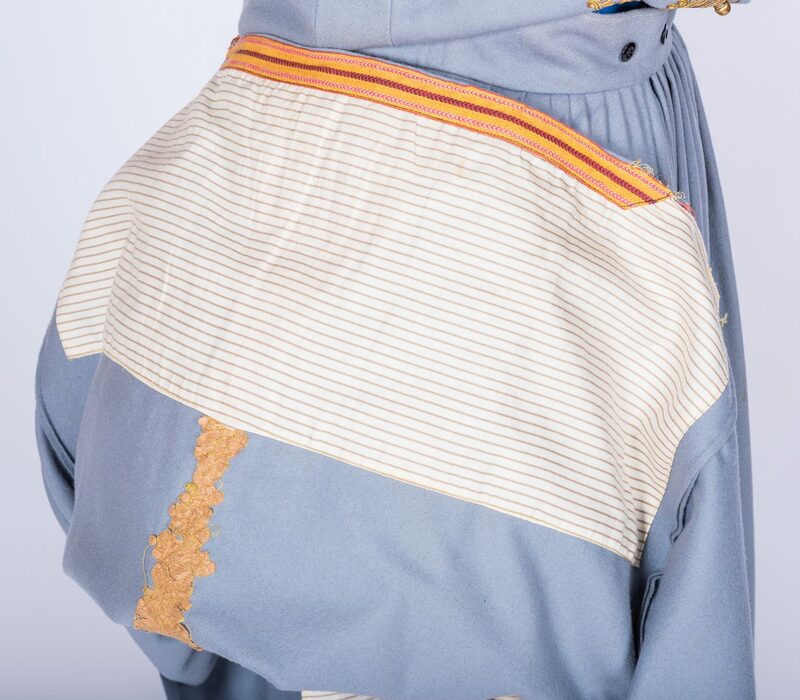 CONDITION: General wear and staining overall; jacket has 10 small moth holes, largest 1/4" L back of right sleeve; vest has scattered wear abrasions, largest 1" L bottom back, and slight staining to lining on right; and skirt has scattered wear abrasions, largest 1" L back left and 4 small moth holes, largest 1/4" L front left.